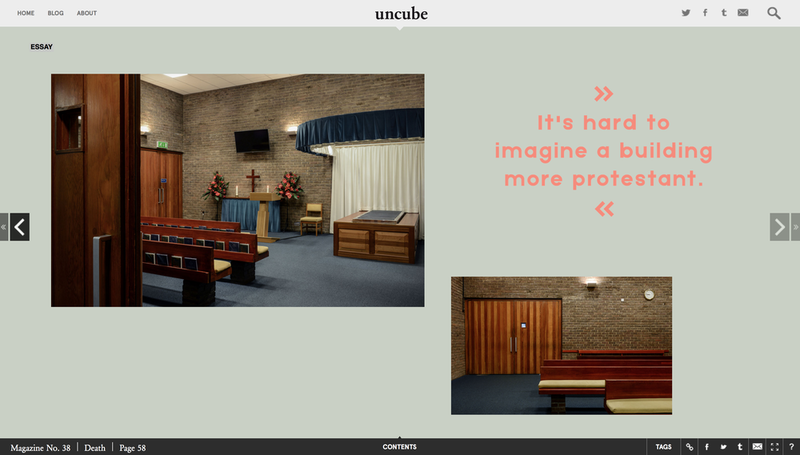 Here's a couple of grabs from Uncube Magazine . They commissioned me to photograph one of Southampton's leading pieces of architecture by Leon Berger, the crematorium to be exact. First time I've ever had to photograph a crematorium but was definitely an interesting place and a classic piece of design from it's time. 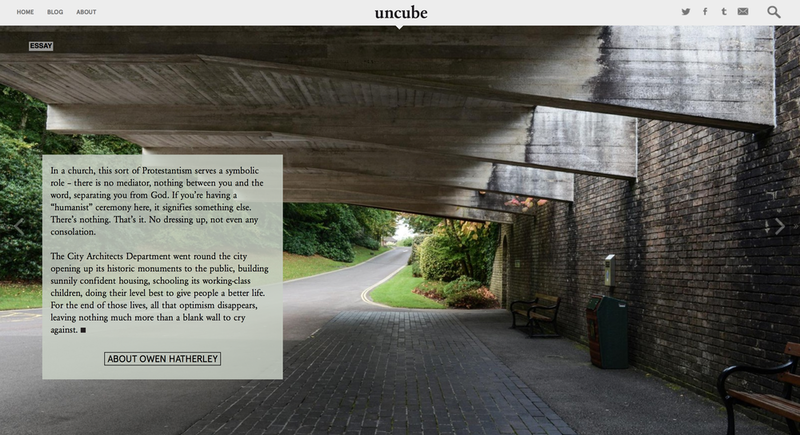 Love the layout in Uncube magazine, well worth a look if you have a keen eye for architecture.